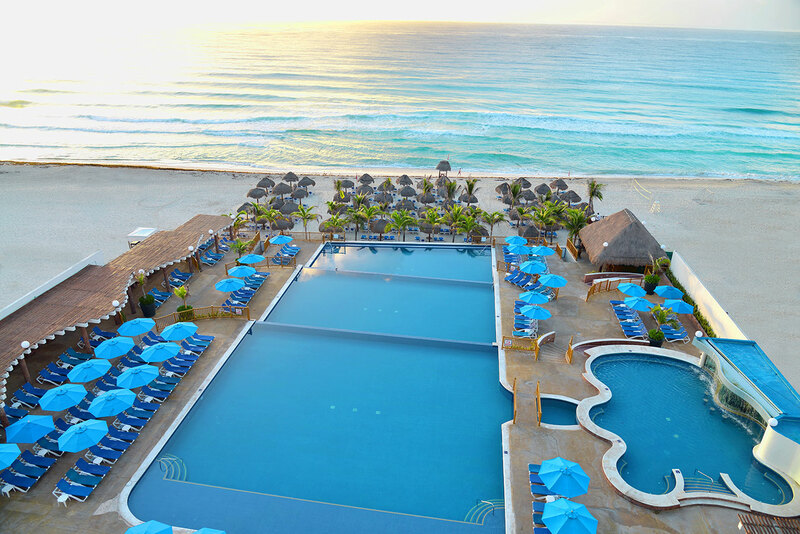 The Seadust Cancun Family Resort is a resort located in front of the best beaches of Cancun. 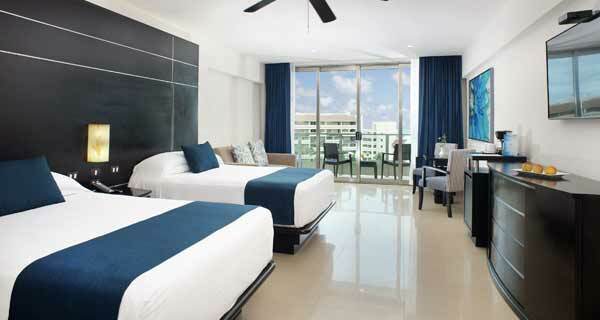 Here you will enjoy a modern hotel with Spa, facilities and an All Inclusive service at the beachfront. 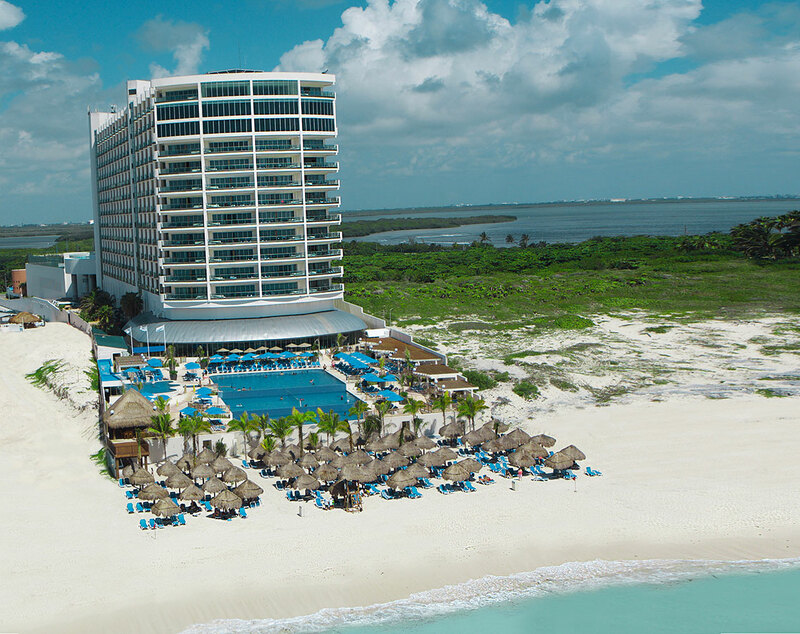 Besides, at our resort in the tourist area of Cancun you will enjoy a water park with toboggans, spacious rooms, idyllic suites, 1 buffet restaurant , 7 specialties restaurant, 2 snack and 6 bars. 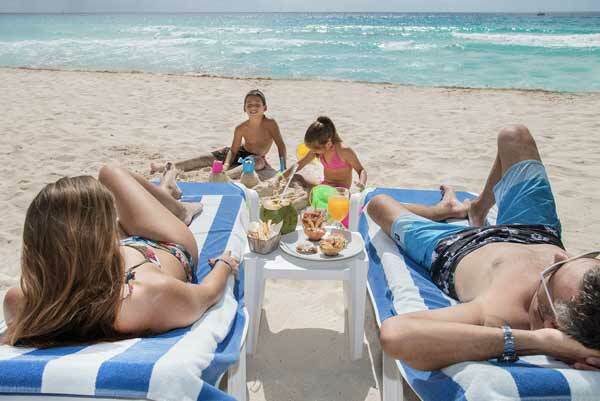 All Inclusive service with 24-hour food & drinks, activities for children and babies from 18 months, boardrooms, body and face treatments and many more services that will make your stay at the Seadust Cancun Family Resort unforgettable. 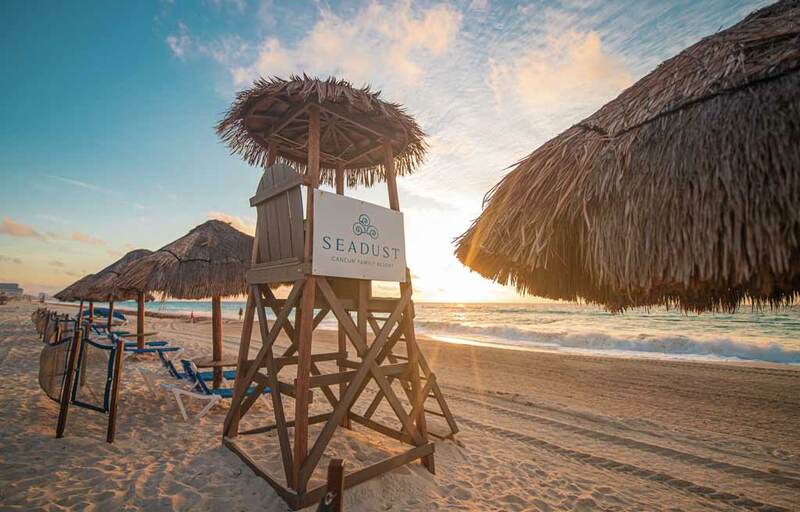 Our Seadust Cancun Family Resort hotel is located at the seafront of Cancun’s beach, in the best area of the tourist district, in front of the turquoise waters of the Caribbean Sea. 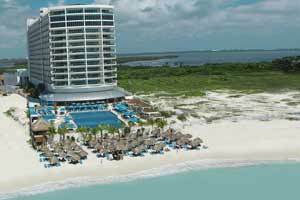 Near the hotel we find the Mayan Museum, the Ruinas del Rey, Delfines beach, Kukulkan beach, La Isla Square, Forum Square and the Coral Market. 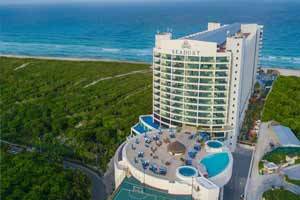 Besides, Cancun's International Airport and the lively night entertainment area of the city lie within a 10 and a 15 minute drive to the hotel, respectively. 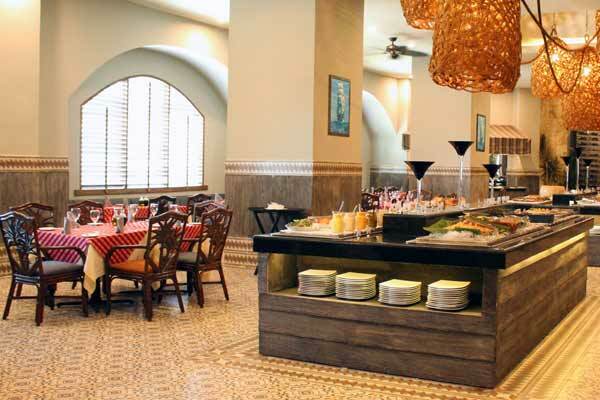 The rooms and suites of the Seadust Family Resort will surprise you with their welcoming ambiance and well-cared spaces for your family holidays and business events. They are rooms and suites with a good layout, private balconies and terraces with views to the sea or to the lagoon ideal for you to enjoy the best of the Caribbean. 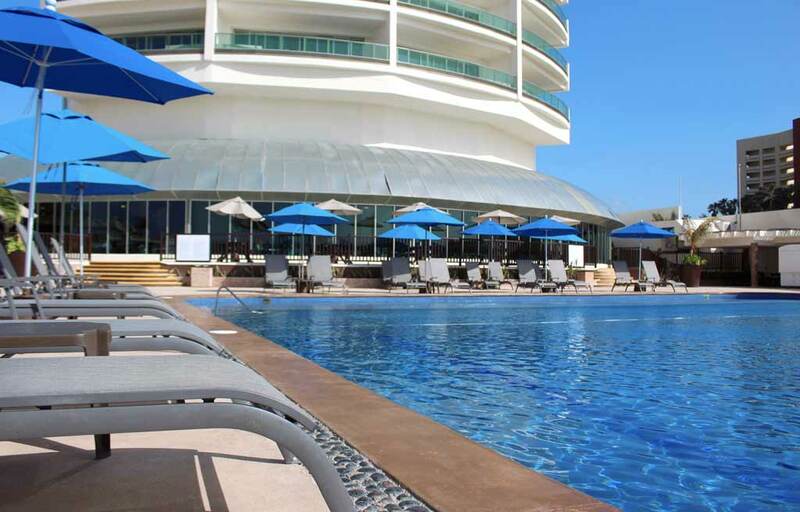 Pamper yourself at our spa resort in Cancun taking pleasure in our spa center, a health and wellness sanctuary specially designed for our most demanding guests. You will be able to enjoy this Caribbean oasis during your stay, book special facial and body treatments and enjoy the advantages of hydrotherapy with the expert hands of our professionals. 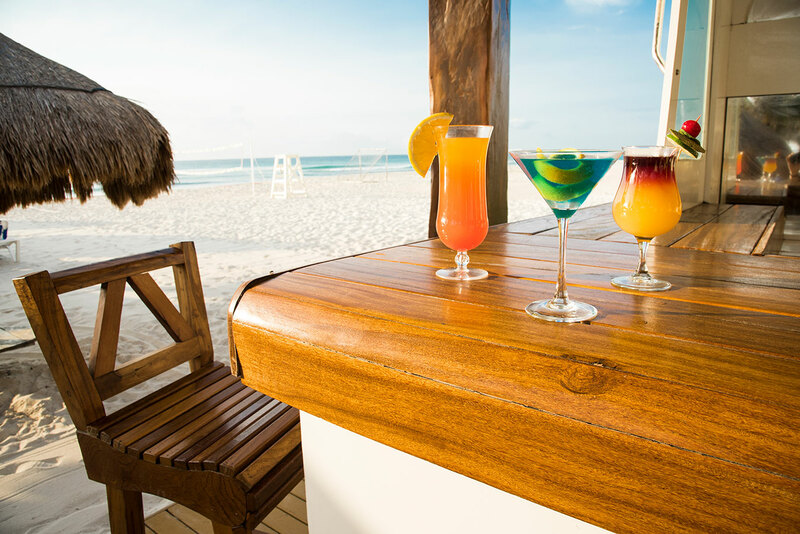 Besides, you will have access to an exclusive beauty salon and to thousands of plans for taking care of your body and rejuvenating your spirit. Choose among the single or double cabins and enjoy a unique experience at any time of the day: our spa is open every day from 8:00 a.m. to 8:00 p.m. Enjoy it! 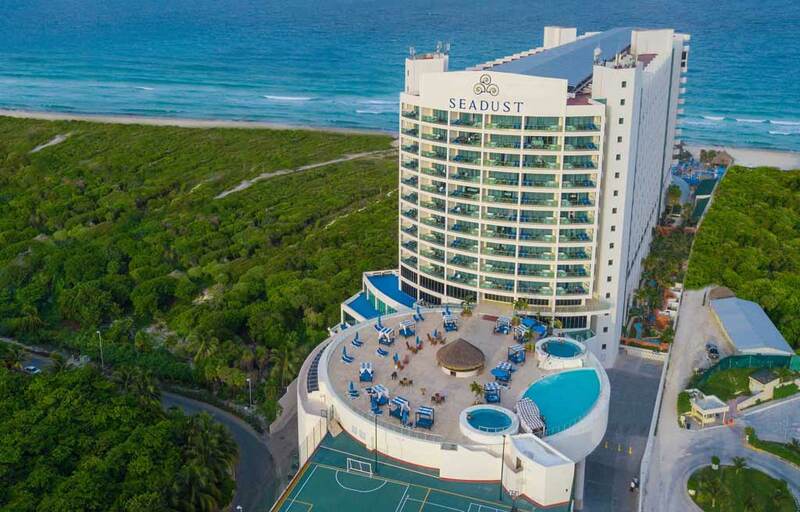 The Seadust Cancun Family Resort has created a wide range of entertainment and leisure activities for all ages, from Adults Only plans to endless games, workshops and special areas for children, so that you and your family have an unforgettable experience. 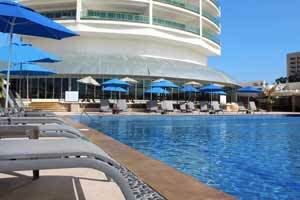 You will amuse yourself with the professional entertainment team, swimming pools for adults and children, gardens, sport courts, theater with live shows and much more. Always with the best guaranty of quality, safety and diversity. 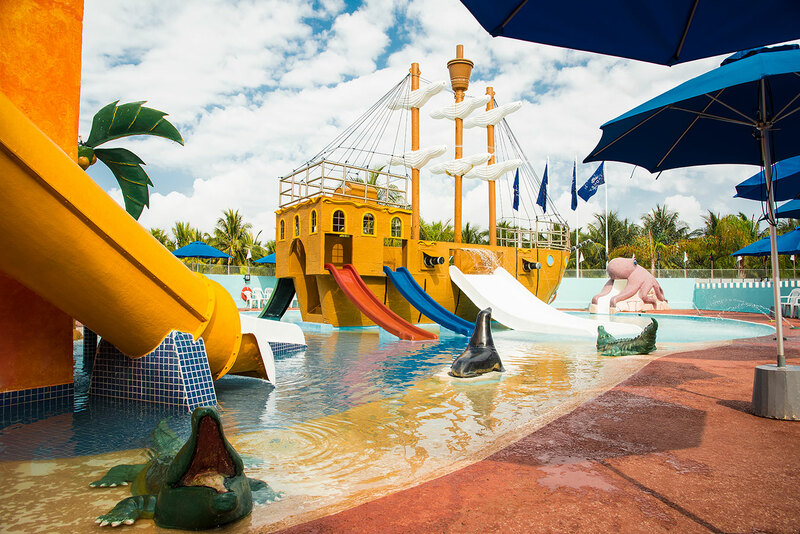 These are some of the most famous activities and plans of our resort in Cancun: La Isla del Tesoro, our water park inspired in tropical nature and the mini golf court; the vibrant live night shows and, of course, the children's clubs divided by ages. 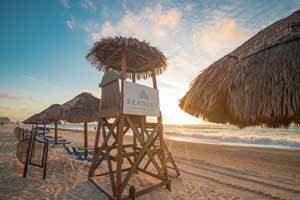 Our Seadust Cancun Family Resort is a resort in Cancun specialized in the organization of events in the Caribbean. 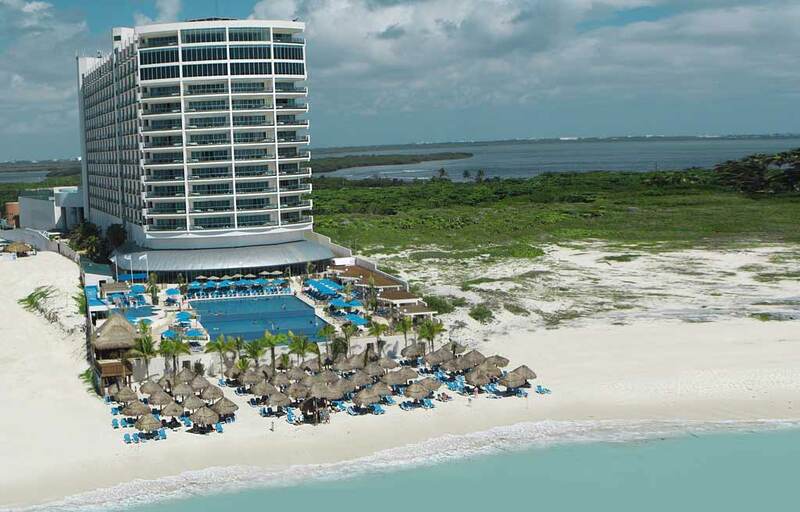 This establishment located near the best beaches and within a 15 minute drive to Cancun’s International Airport offers businesses and groups special areas for meetings and galas equipped with state-of-the-art amenities. Besides, you will have a complete team of counselors and specialists in the organization of events —from small business gatherings to large conventions— at your service.